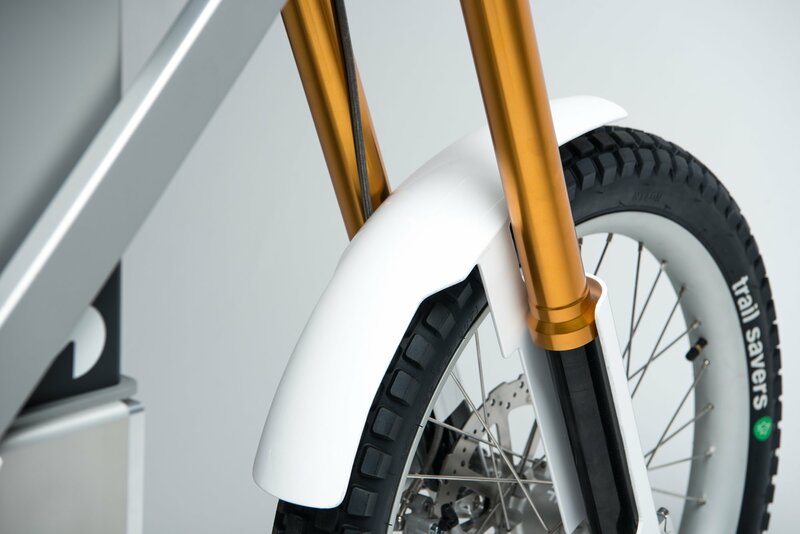 Boundary blurring e-bikes are hardly a new thing however, the Cake Kalk (named for the limestone rock used to build Cake’s berm-filled test track) takes things to the next level. Let’s be clear. 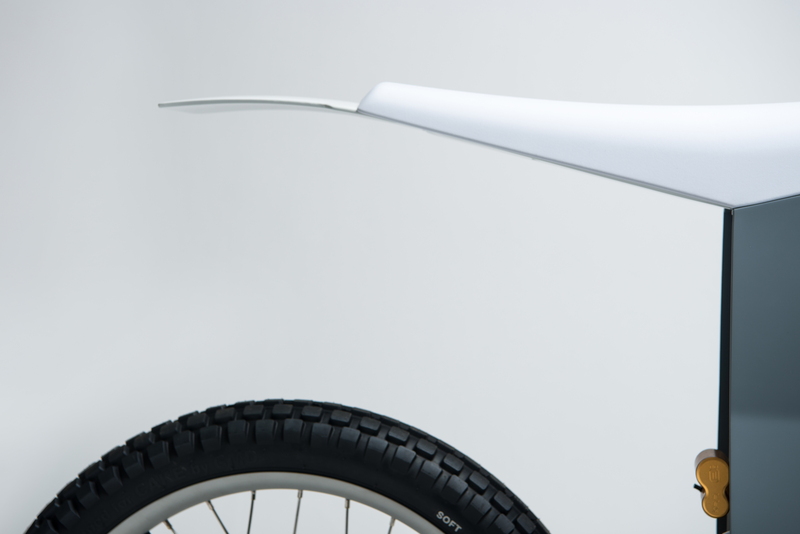 This isn’t an e-bike. There are no pedals. There is no artificially limited top speed. 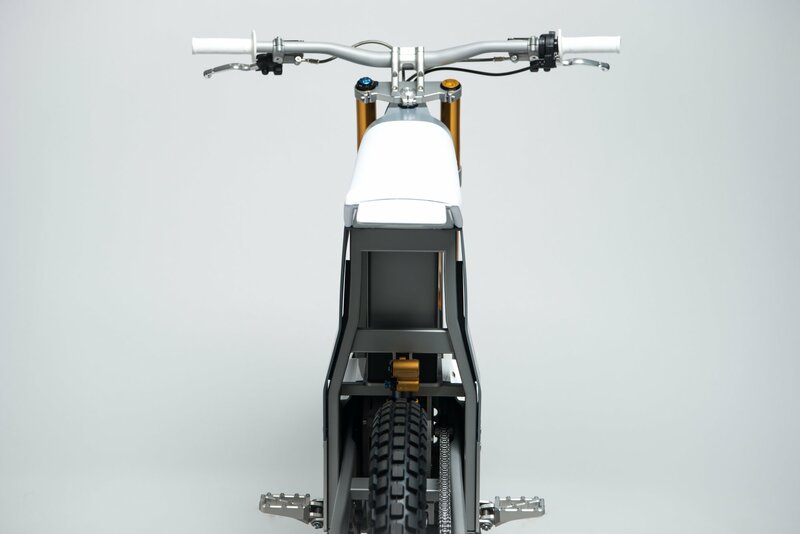 While downhill mountain bikes were clearly a strong influence, this is a completely fresh design built from the ground up to be an e-moto. 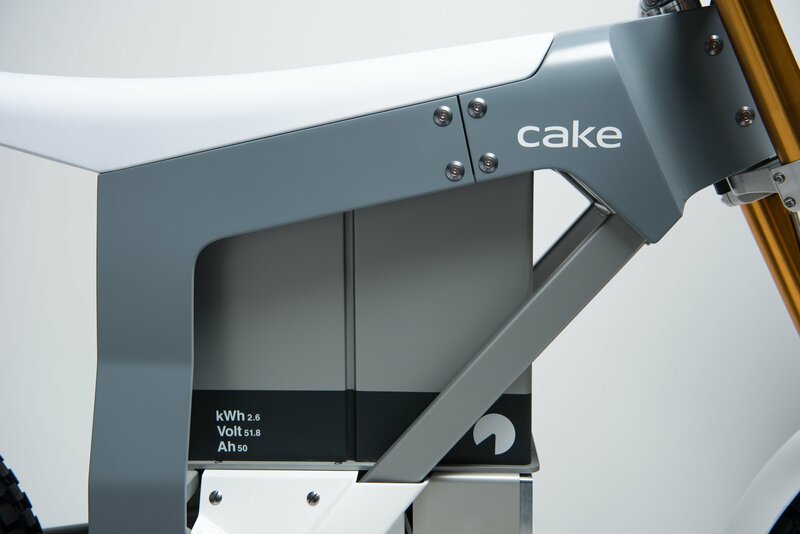 Powered by a 15kW motor (providing roughly the equivalent to 16hp) the Cake Kalk weighs under 70kg, allowing it to accelerate up to a top speed of 50mph when in the ‘Excite’ mode. 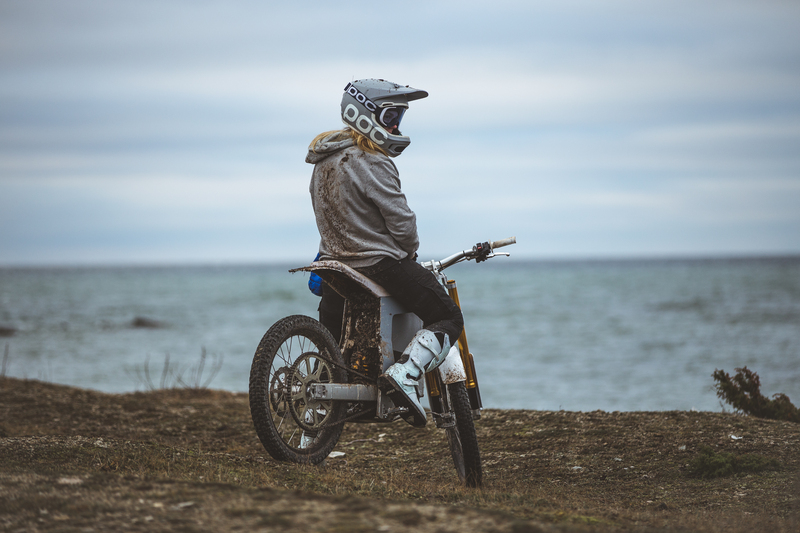 Switch the riding settings to ‘Explore’ and you’ll be able to get around 50 miles of range out of the Kalk too, enabling you to, um, explore your favourite forests and trails without even breaking into a sweat. 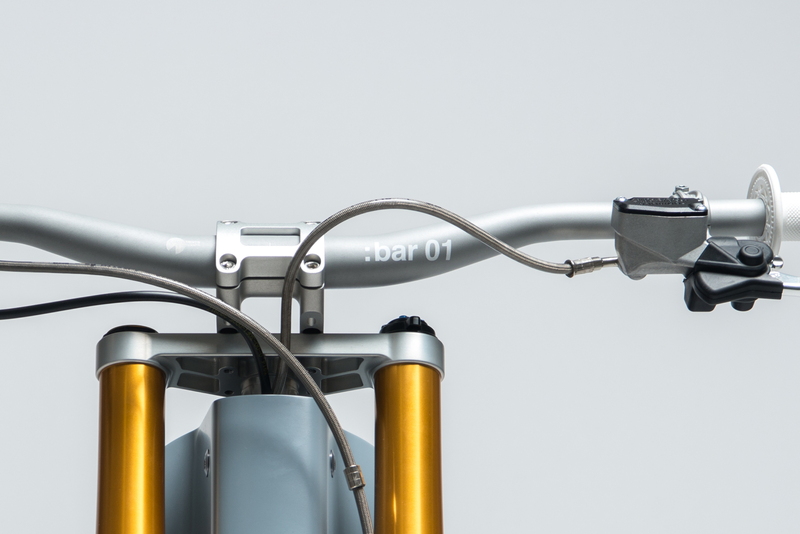 In order to provide the agility and handling of a lightweight downhill bike with the performance of a genuine scrambler, Cake has had to develop almost every one of the Kalk’s components from scratch. Standard MTB parts were too flimsy, while the range of available motorbike parts were too heavy. 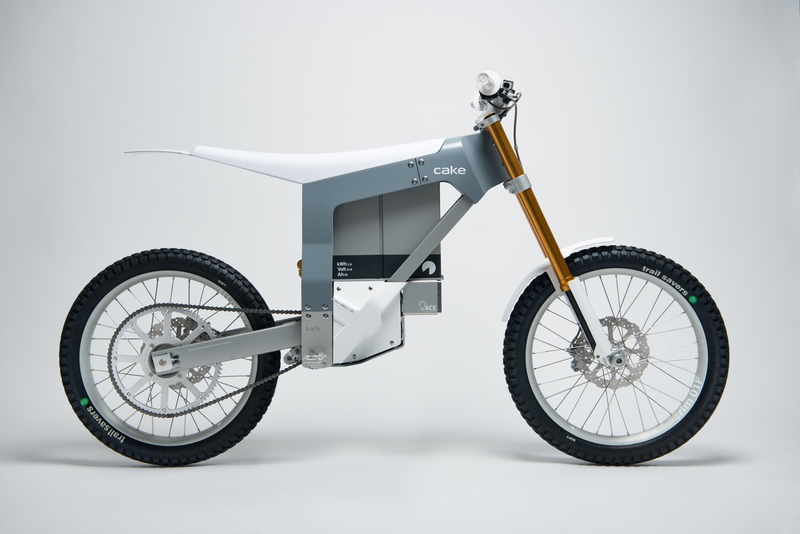 The end result is an e-moto with unmistakably Swedish minimalism. From the chassis to the drivetrain, everything has been optimised to provide an electrifying riding experience (sorry, we couldn’t help ourselves). 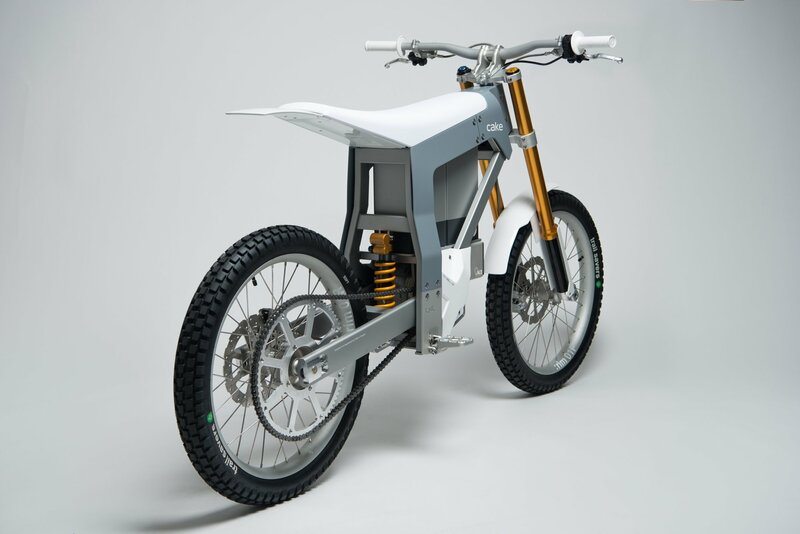 Will “light, silent and clean electric off-road motorbikes make the era of noise, disturbance, pollution and complexity a thing of the past” as Ytterborn predicts? If they all have the focus of the Cake Kalk, they just might, even with the eye-watering $14,000 price tag.